So before i reviewed the All About Lips, now it's time for All About Eyes! 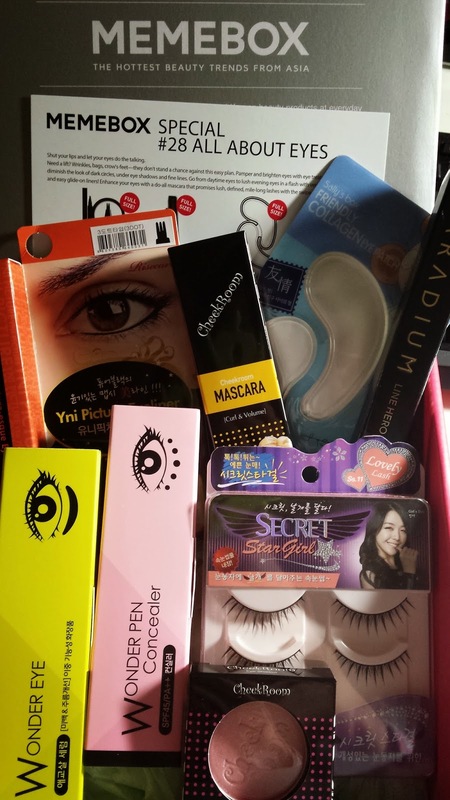 Pretty full special memebox! Everything for your beautiful eyes! 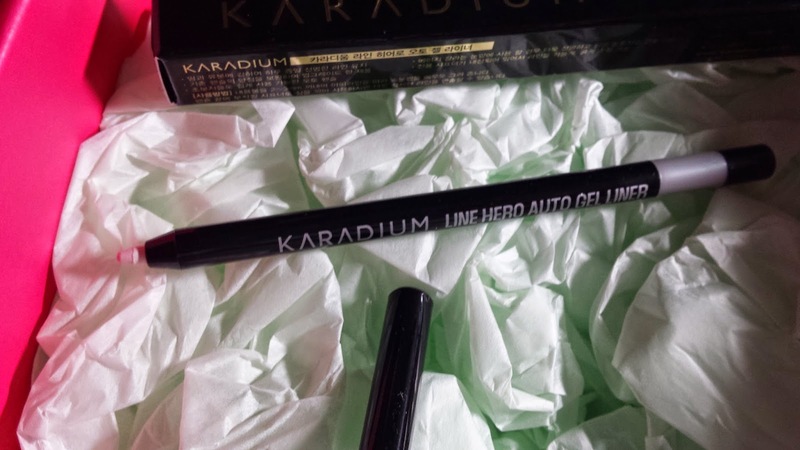 This eye liner has a three-end brush which is very unique and meant to work to fill between your lashes to create a deeper high definition eye makeup. 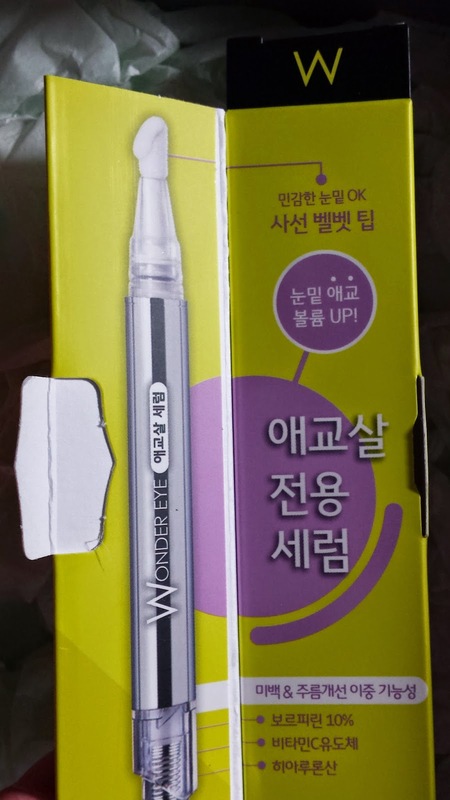 Not sure how this works but the instructions tell you to dot along your lashes to fill in completely and draw in the rest of the line using all 3 brush tips. Wish me luck! This costs US $9. 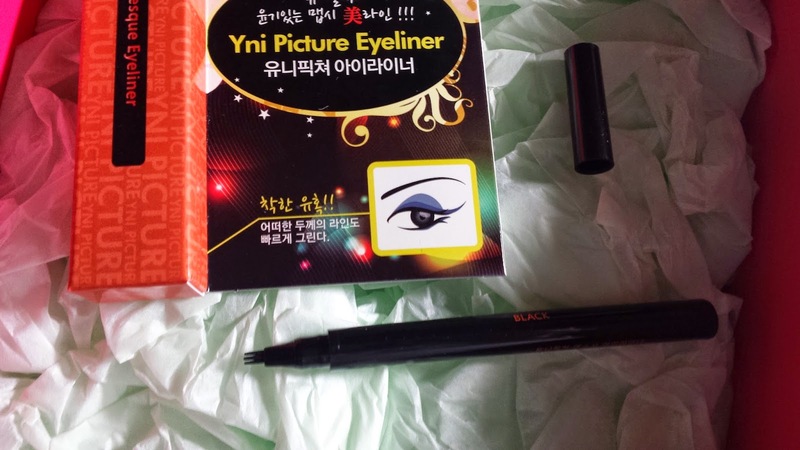 Here i received the 05 silver white colour gel eye liner in my box - basically any gel eye liner makes me excited. Love this silver white hehe, this sells for US $12. 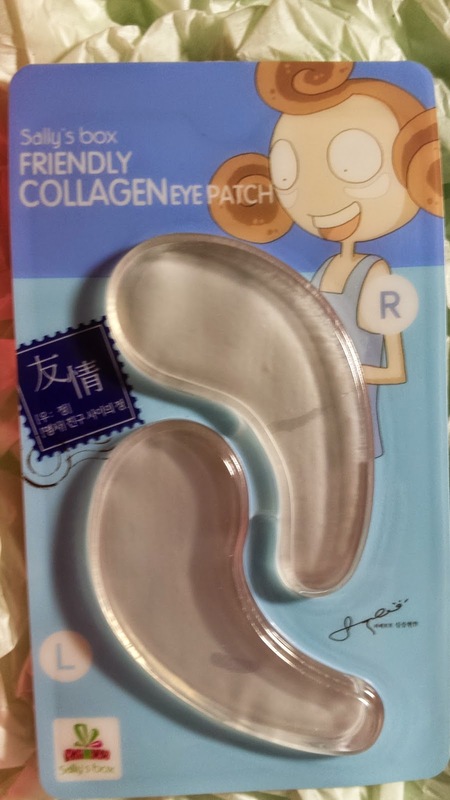 These 2 cute eye patches are meant to help moisturise and firm your under eyes. Tried using this the other day but i found that it didn't stick really well, so i'm not sure if i was using them right.I think i rather eye cream than eye patches. This pack sells for US $2. 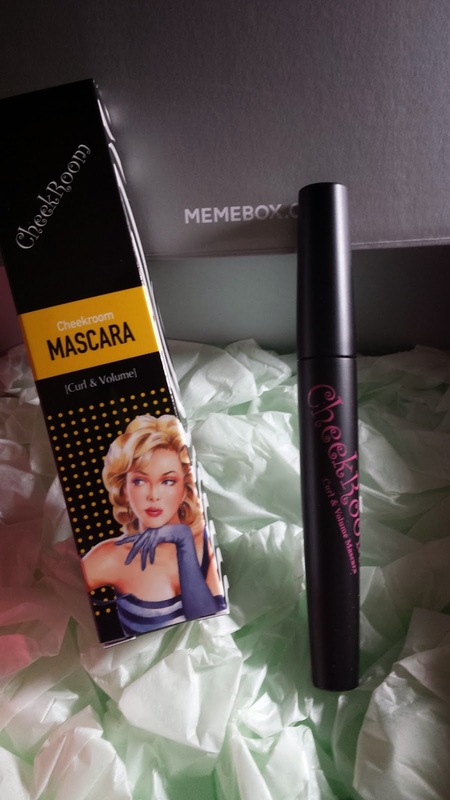 Another mascara! I'm not someone who uses mascara on a daily basis, but when i do - i want to be putting something on which has a lot of volume. 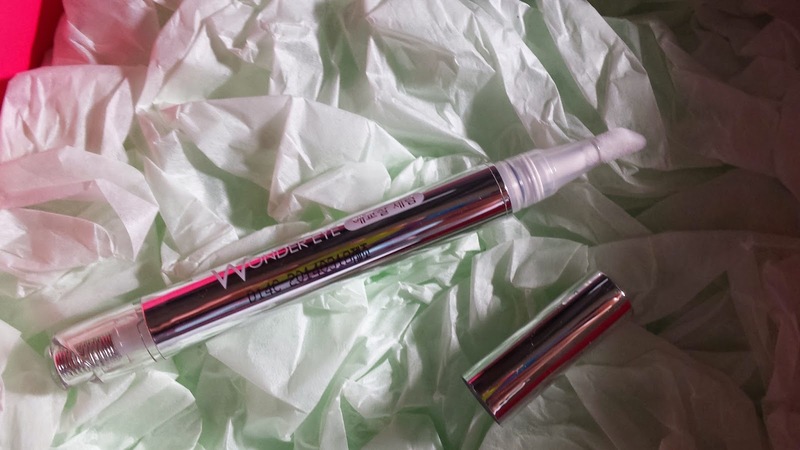 This is perfect seeing as it is waterproof and gives you that glam and push your lashes need. This costs US $18. 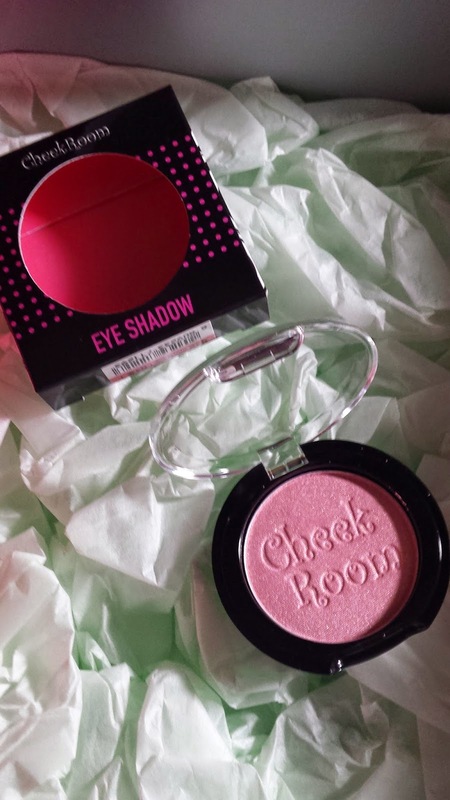 Here i got the 04 Sweet Pink Eye Shadow, very compact and small with a great colour and pigmentation. This costs US $8. 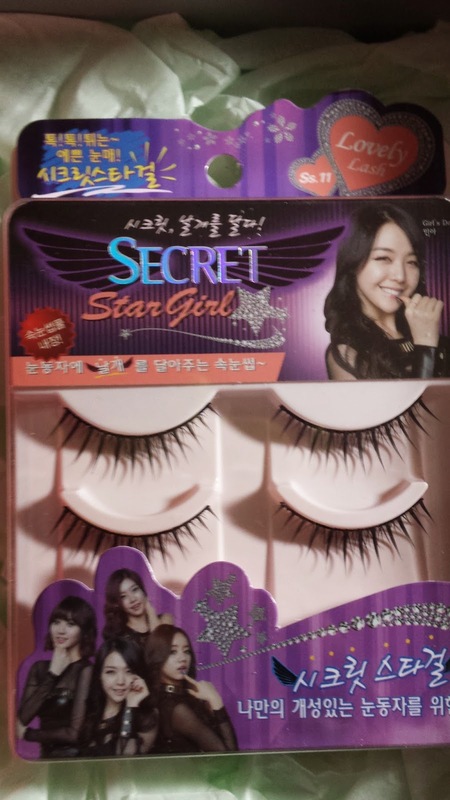 This 2-set false lashes come with glue as well :) Super handy, but too bad i don't use false lashes :( Otherwise i think these are beautiful and a great set to have. This sells for US $7. Wow! Such an intersting product we have here and it took me so long to figure out how you even use this! So basically you squeeze our the serum that comes our at the tip and this is used for the area just under your eyes, also known as "aegyo-sal" which Koreans think are cute :) This is meant to fully volumise and bring out that "aegyo-sal" in all of us! This sells for US $41! 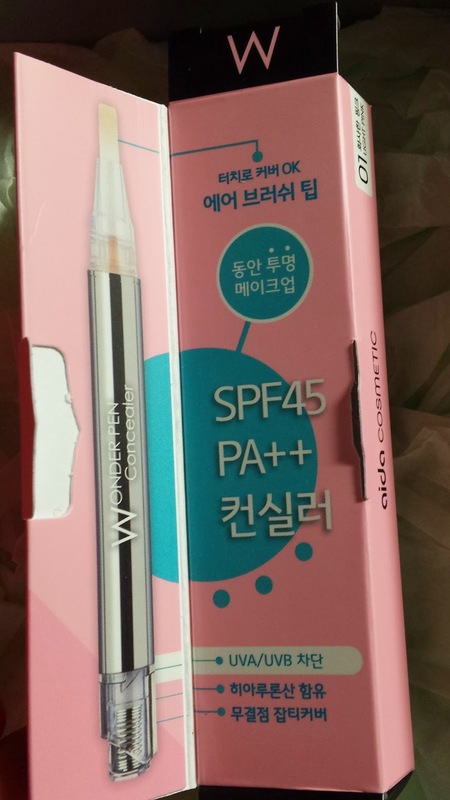 Another one of these pens^_^ This time being a concealer which help cover your eye bags or over any blemishes and skin imperfections. 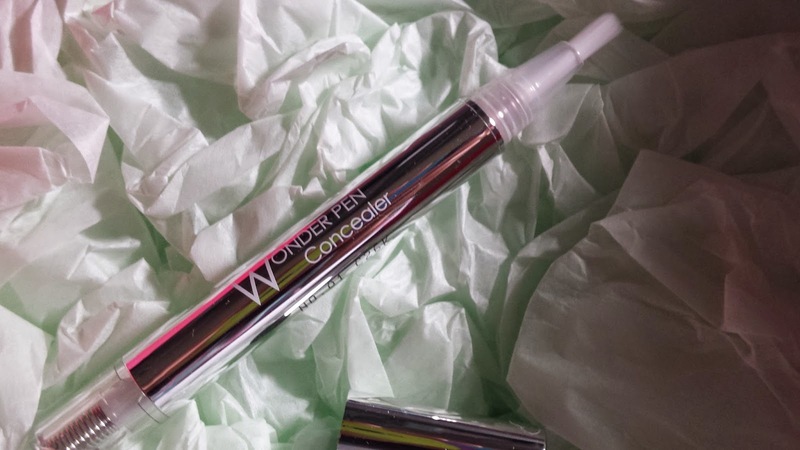 This is a really greatly designed concealer and i'm definitely putting this in my make up bag! This costs US $34.